Not to be confused with the jazz-rock guitarist John McLaughlin (of Mahavishnu Orchestra fame), Jon McLaughlin (born September 27, 1982) is a piano-playing pop/rock singer-songwriter from Anderson, Indiana. His debut album Indiana was released on May 1, 2007, preceded by his first EP Industry, also known as Jon McL, in February, 2007. In 2008, McLaughlin returned with lead single "Beating My Heart", which is available on iTunes. The song is a part of his previous album called OK Now, confirmed on his official site. OK Now was released on October 7th, 2008. He gained fame with his cameo appearance in Disney's Enchanted. Released in early September 2011 in the US, Forever If Ever is Jon's 3rd major label release and his newest album to date. It could previously be downloaded on Amazon's website and the compact disc bought at his personal website. However, seeing as the album will have a re-release with additional tracks and a new name "Promising Promises", the first release has been ultimately shelved. Only the lucky early buyers have a hold of these songs until they are re-released in May 2012. The lead single preceeding the album is "Summer Is Over" featuring the singer-songwriter Sara Bareilles. It was released in late January 2012. 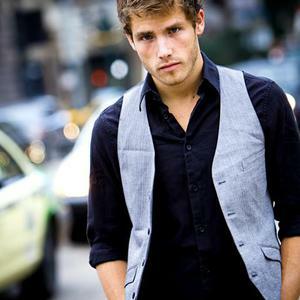 Playing piano since early childhood, Jon McLaughlin grew up in Anderson, Indiana. He didn't want to take piano lessons anymore and was always finding ways to get out of doing so. While attending Highland High School, McLaughlin shattered both wrists in an accident that interrupted his musical expression. Rediscovering "his muse," McLaughlin attended Anderson University to study music. He released an independent album entitled, Up Until Now in 2003. This quickly led to McLaughlin becoming the first artist to sign on with the school's burgeoning, if not local, record label, Orangehaus Records. The self-titled album released in 2004 to local and regional praise. He began touring, traveling throughout the Midwest and working up a grassroots following.